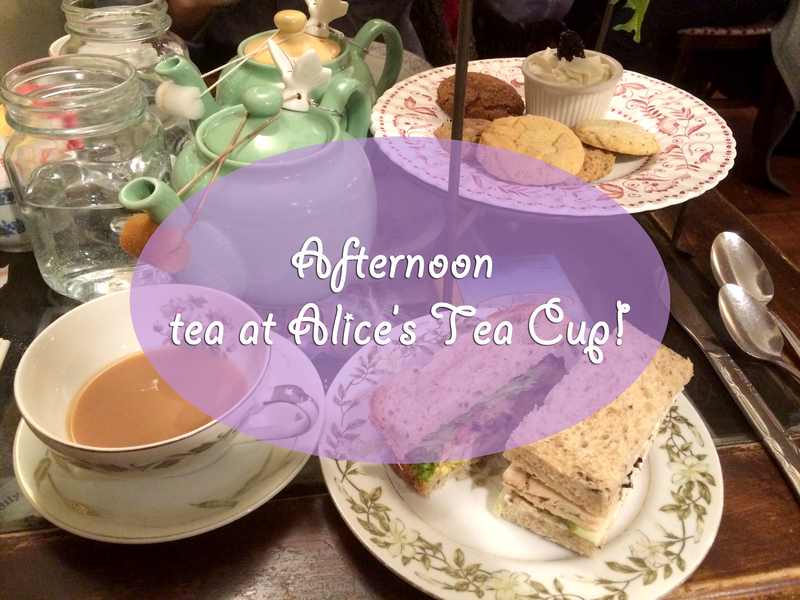 I have been wanting to have afternoon tea for awhile now and Alice’s Tea Cup did not disappoint! 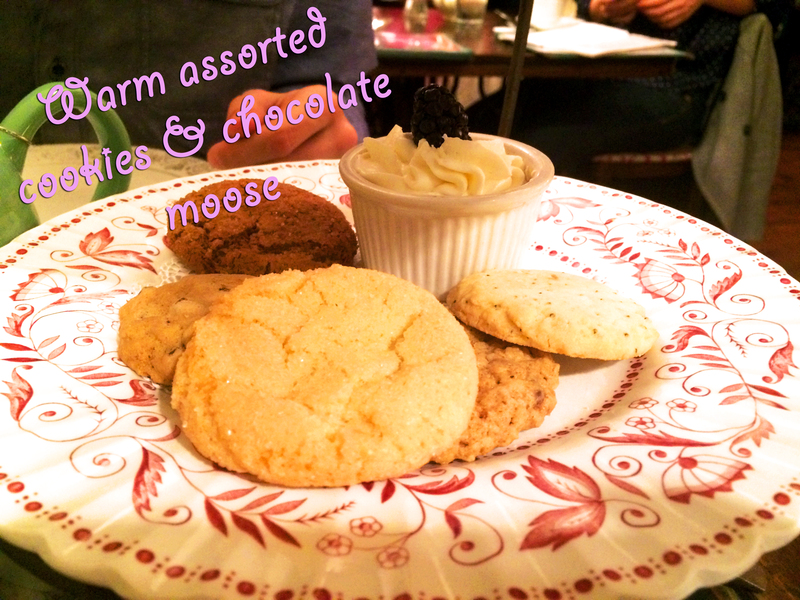 The ambiance is so incredibly cute and quaint– the decor is whimsical, adorable and very unique– much of what you would expect from a tea house that’s Alice In Wonderland themed! Our table itself literally showcased old antique looking Alice In Wonderland books and dolls, the walls were decorated with quotes from the book and the adorable bakery in front is filled with not only scrumptious desserts, but also Alice In Wonderland themed gifts, books, tea cups and pots. My boy friend and I ordered the Mad Hatter- a triple-tiered tea extravaganza for two. 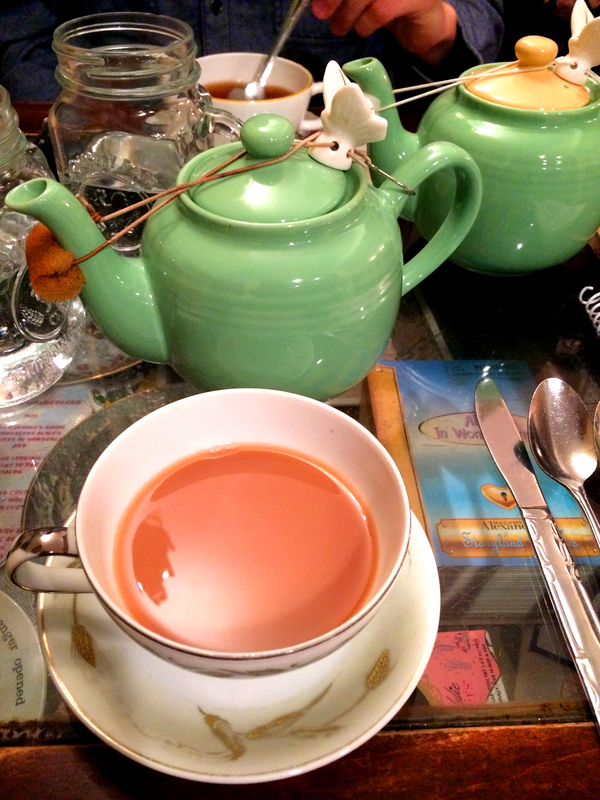 We began sipping two pots tea- one Chocolate Chai and one of Alice’s signature teas, a blend of black tea, green tea, vanilla, and rose petals. The tea, as expected, was perfectly prepared. They have an extensive tea list, so picking out the tea alone took some time! 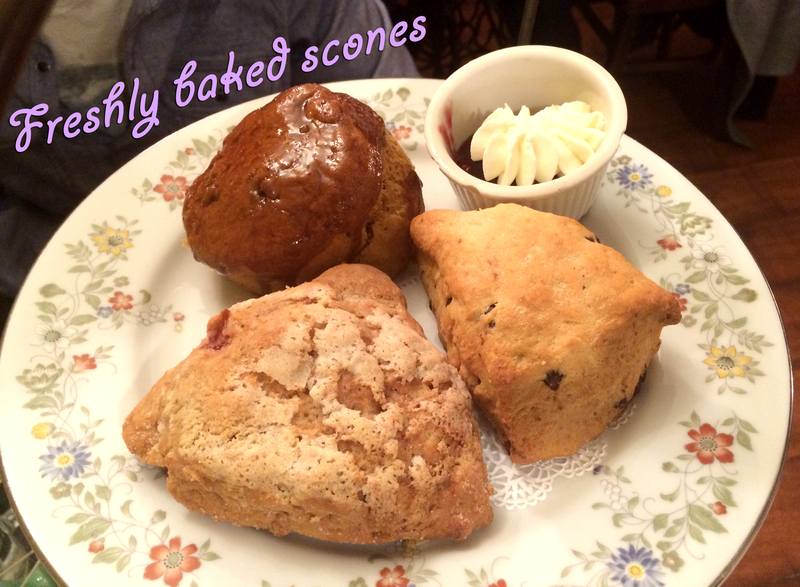 We then shared three delicious scones- strawberry nutella, chocolate chip orange and their signature pumpkin scone. The scones were warm and cakey on the inside and slightly crunchy on the outside- they were absolutely amazing paired with Alice’s raspberry preserves and clotted cream. Upon my first bite I realized I freaking love clotted cream! 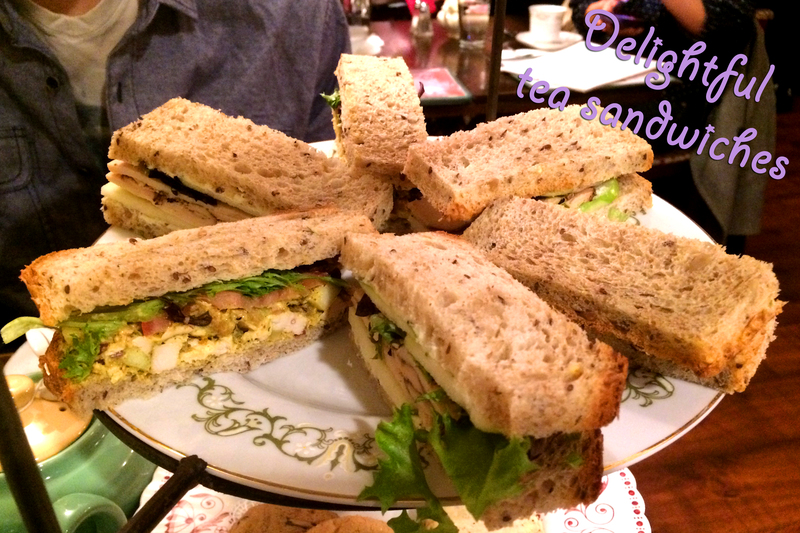 Next we split two sandwiches- the Lapsang souchong smoked chicken breast (tea infused, smokey flavored chicken) and the curried chicken salad. They were crust-less, just how I like! For dessert we had an assortment of cookies– lemon poppy seed, black and white, sugar and oatmeal were some of the flavors. We also split the White Rabbit dark chocolate mousse, topped with whipped cream. 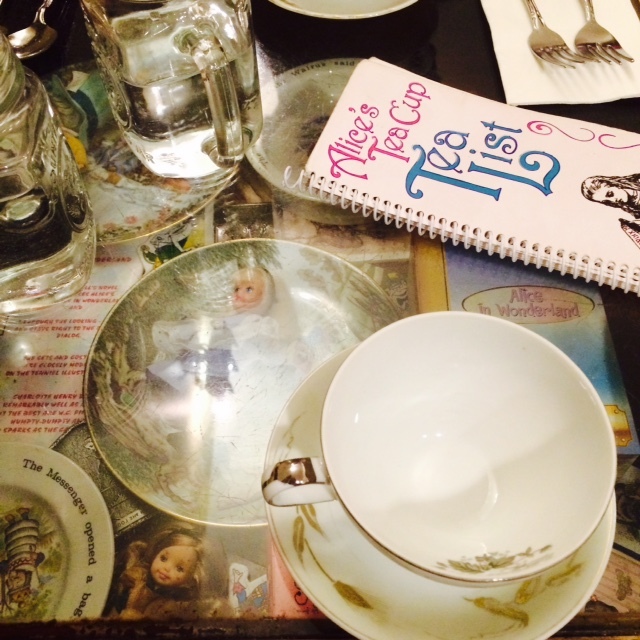 Everything was splendid and went delightfully with our teas. 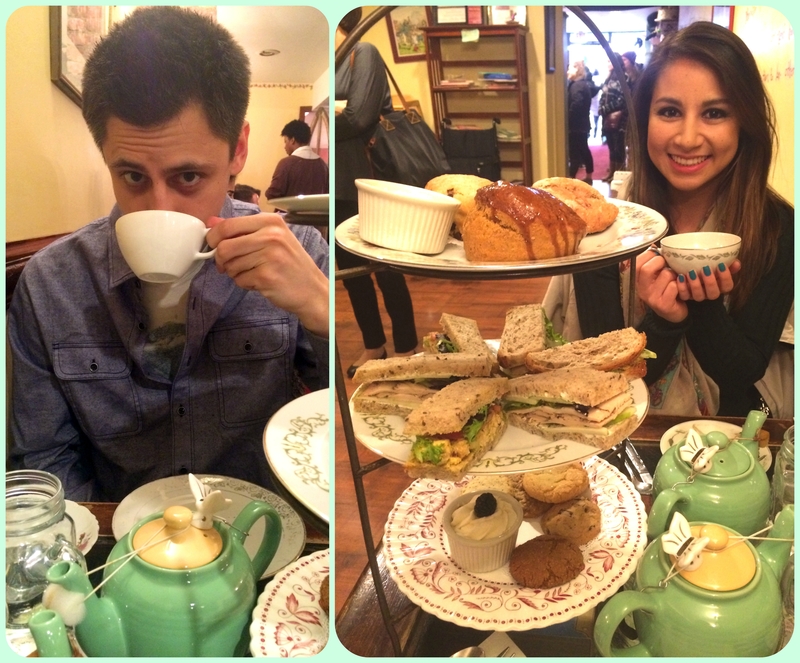 We enjoyed our afternoon tea time leisurely sipping our tea until we ate everything! My only regret was not getting sprinkled with fairy dust on my way out!